Eric Voth, vice president of primary care at Stormont Vail Health, said during a Monday rally that Kansas has turned down more than $1 billion for refusing the first three years of Medicaid expansion. David Jordan, executive director of Alliance for a Healthy Kansas, urged those in attendance to tell legislators they want Kansas to join the 31 states that have expanded access to the public health insurance program. All of the seats in the Kansas House and Senate are subject to this year’s primary election in August and general election in November. 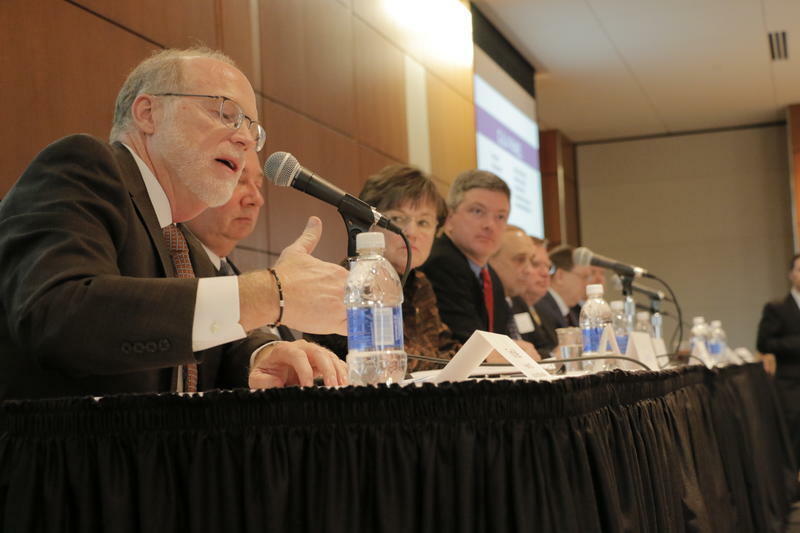 The Alliance for a Healthy Kansas was formed this year to coordinate an expansion push that so far has been splintered among several interest groups. The state’s hospitals, which have lost millions in federal dollars because of the decision not to expand Medicaid, previously led the lobbying effort. Jordan said his coalition plans to activate a grassroots push by focusing not only on the economic hit to hospitals but also on the 150,000 Kansans estimated to be eligible for Medicaid coverage under expansion. As a nonprofit, the alliance cannot endorse candidates. But Jordan said the group is likely to fund letter-writing campaigns and other efforts to draw attention to Medicaid expansion as an issue for voters and candidates. “I’m sure we will have mailers,” Jordan said. Medicaid in Kansas is a privatized program called KanCare administered by three private insurance companies. It’s currently available only to pregnant women, children and people with disabilities who meet certain income limits. Expansion under the ACA would extend access to Kansans who make less than 138 percent of the federal poverty level, which is annual income of $16,242 for an individual and $33,465 for a family of four. Robert Schremmer, a Catholic priest and vicar general of the Dodge City Diocese, said all major religions make care for the poor one of their main tenets. He used the parable of the Good Samaritan to illustrate his support for expansion at Monday’s rally. “Expanding KanCare shows compassion to vulnerable people,” Schremmer said. Marcillene Dover, a Wichita State University student who has told legislators about her struggle to get health care coverage to treat her multiple sclerosis, sat in the front row as Schremmer made his remarks. Two prominent members of Topeka’s medical community said during the rally that expanding Medicaid would improve health outcomes by encouraging Kansans to seek preventive care before their health problems become crises. Alice Weingartner, executive director of the Shawnee Health Center, said 42 percent of Kansans served by safety net clinics like hers have no insurance. 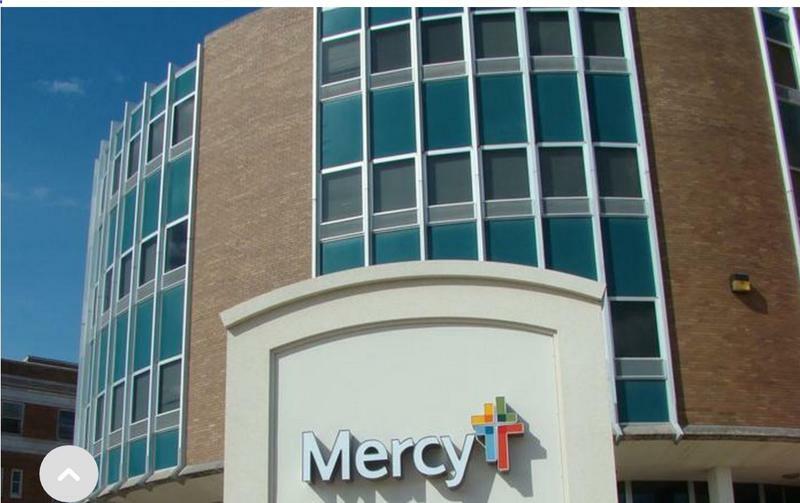 Alice Weingartner, executive director of the Shawnee County Health Center, said 42 percent of the Kansans served by safety net clinics like hers have no insurance. Eric Voth, vice president of primary care at Stormont Vail Health, said Kansans without health coverage often turn to emergency rooms for routine medical care. That’s costly, he said, and causes long ER waits that compromise the safety of patients with medical emergencies. Republican leaders who oppose Medicaid expansion have consistently said they’re concerned about the cost. States eventually will shoulder 10 percent of the bill for expansion, with the federal government picking up the rest of the tab. But Voth noted that Kansas has turned down more than $1 billion for refusing the first three years of expansion, which are fully federally funded. He questioned whether legislators would consider turning away federal dollars in similar amounts for things like military bases and highways. Voth said the decision in Kansas has been more about the politics of a law spearheaded by a Democratic president than about fiscal conservatism. A new organization is forming to strengthen the lobbying effort for Medicaid expansion in Kansas. 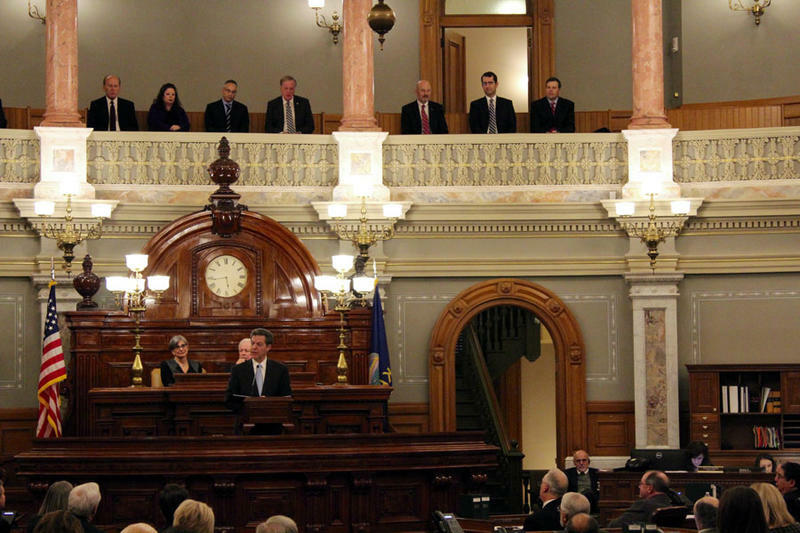 The Alliance for a Healthy Kansas will focus on passing an expansion bill in 2017, not in the waning days of the current session, according to Billie Hall, the chief executive of the Topeka-based Sunflower Foundation. In an email sent Wednesday to approximately 2,000 people registered to receive updates from the foundation, Hall urged individuals and organizations from across the state to join the alliance so that it can mount a strong lobbying effort next year. 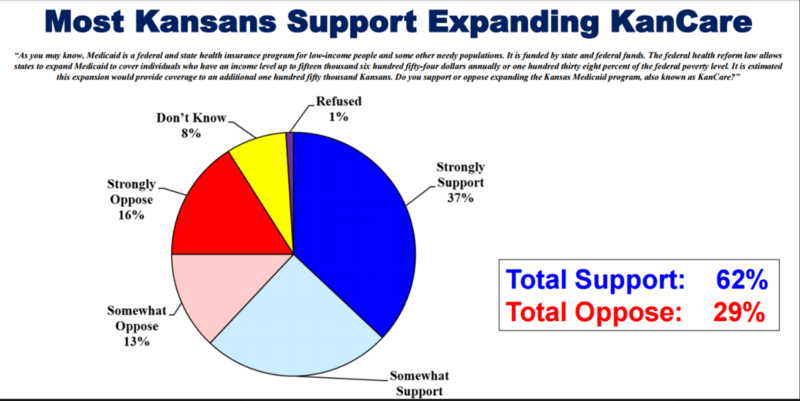 Poll results released Monday by the Kansas Hospital Association show a majority of Kansans continue to favor expanding Medicaid to cover more low-income adults. The statewide poll conducted in mid-February found that 62 percent of Kansas voters supported expanding KanCare, the state’s privatized Medicaid program, to cover approximately 150,000 non-disabled adults earning up to 138 percent of the federal poverty level, or $16,243 for an individual and $33,465 for a family of four in 2015.